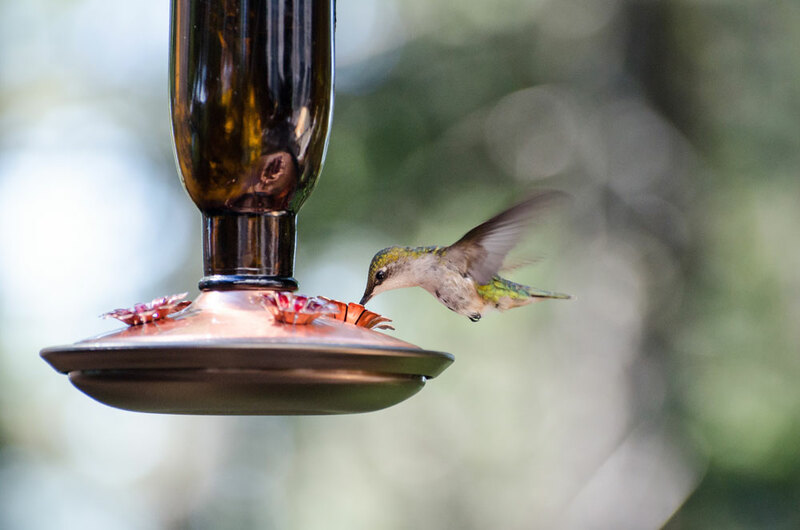 The perfect place to put a bird feeder isn't as easy to figure out as you might think. Q: I love having a bird feeder near the house, but when the birds are startled, they sometimes fly into my windows. Do I need to move it farther from the house? A: The best place for the bird feeder is either within 3 ft. of the house or more than 30 ft. away. What’s the reason for this big discrepancy? Well, birds tend to fly into windows because the reflections of outdoor surroundings fool them into thinking that the window is a pathway to other parts of the garden, and when they’re startled, they fly toward this perceived escape route. Most birds reach full flight speed about 6 ft. from where they take off, though, so if your feeder is within 3 ft. of the house, they won’t be going fast enough to harm themselves even if they do occasionally hit the windows. And if the feeder is more than 30 ft. from the house, they’re less likely to be fooled by the reflections. You can also screen windows with netting or plant shrubs to screen the glass so birds can’t see the reflections as easily.